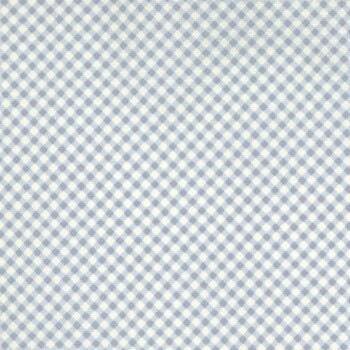 Another coordinating fabric from Moda Bunny Hill Designs Lily and Will blue/cream check fabric. A fabric with this quality and color would make a stunning border on a special quilt. Use this fabric along with any of the coordinating fabrics from this line and you will have a remarkable quilt. All fabric from The Quilted Nursery is cut directly from the bolt. 8 yards available.